We’ve been calling for this game to be made ever since the great simulation bubble of the 30s. Then you couldn’t move for simulated versions of things. 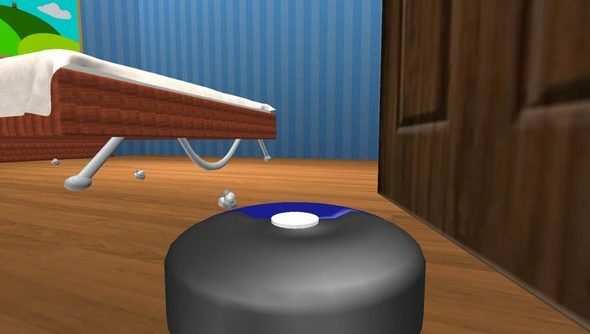 Cow tipping, toasting bread, making a bed, all were represented with their own line of simulation games, but absent from the lineup was a robot vacuum cleaner simulator. Sure, they’ve only been on the market for the last ten years but are you honestly telling me no one had the forethought to develop a game for a machine that would do domestic chores? Finally, one developer has been brave enough to step up to the plate and make the game we’ve all been calling for. Those brave men and women at Stolidus Simulations, we salute you. You can download Robot Vacuum Simulator 2013 from here.